Managing a fleet of public utility buses or even taxis will soon much easier thanks to the work being done by the Volkswagen Group with quantum computers to manage the data from urban traffic monitoring, transport demand, and precise calculations of travel time. The quantum computers being used by German automaker can solve high complex tasks such as traffic optimization faster than conventional supercomputers. The potential of using the quantum computers are seen as an advantage for the company to build new applications and businesses. “Volkswagen is forging ahead with practically-oriented research on quantum computers and is gaining essential specialist knowledge. We want to gain an in-depth understanding of applications of this technology which could be beneficial to the company, including traffic optimization. Public transport organizations and taxi companies in large cities are highly interested in managing their fleets efficiently. 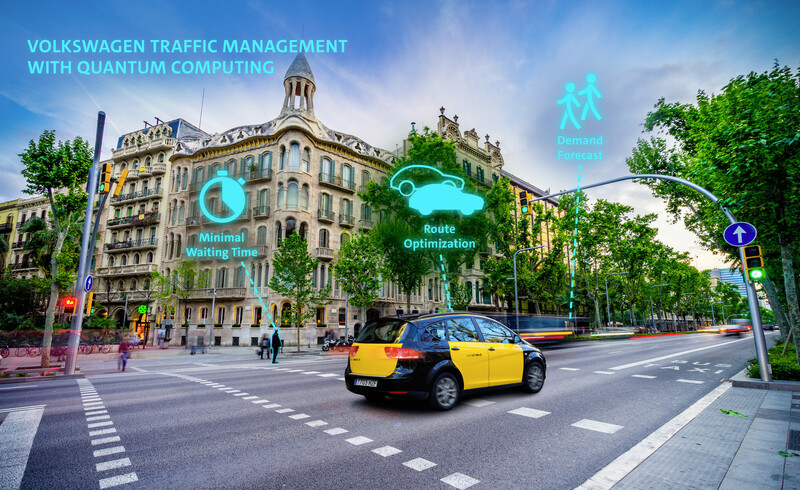 Our quantum-optimized traffic management system could help make that a reality,” says Florian Neukart, Principal Scientist at Volkswagen’s CODE Lab in San Francisco. The new traffic management system uses movement data from smartphones and GPS in vehicles that’s fed into conventional computers to determine traffic accumulation and the number of people commuting. Quantum algorithm is then used to optimize data handling and the results. After optimization, it will be possible for the system to ‘assign precise numbers of vehicles to different destinations (“demand spots”) on a predictive basis to provide transportation for all waiting passengers’. The new traffic management system will instances where taxis and buses drive considerable distances without passengers, long passenger waiting times, or a shortage of vehicles in high-demand locations. With the new technology, operators could also add trips to fixed timetables to meet the passengers’ demand. Volkswagen wants to test their new algorithm and application in Barcelona, Spain due to the company’s enough database of the city.